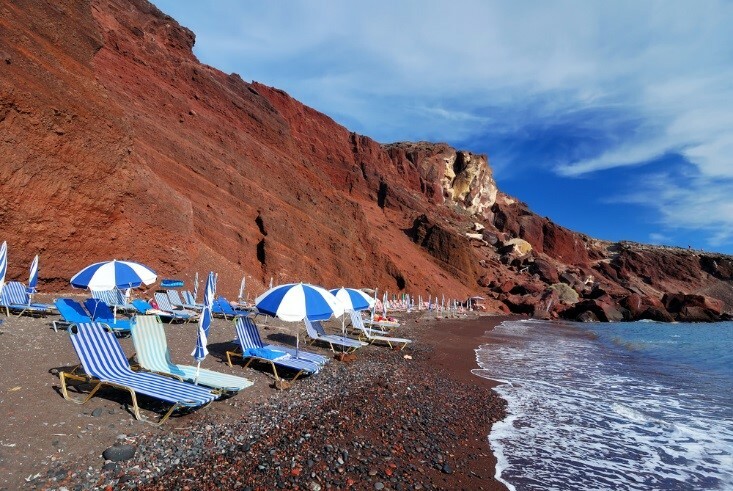 Red beach Santorini is one of the most famous and beautiful of the beaches of Santorini. 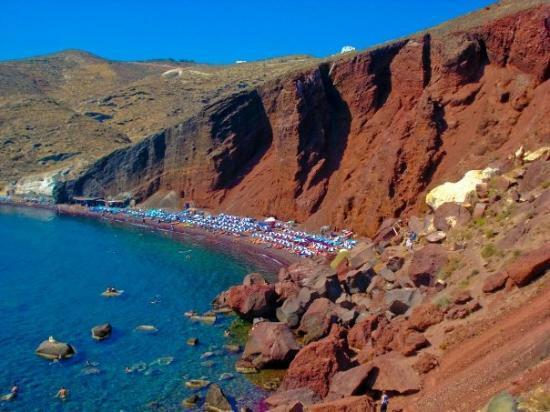 It is named for the iron-rich rocks in the cliff face towering over the beach above you as well as the red sand. 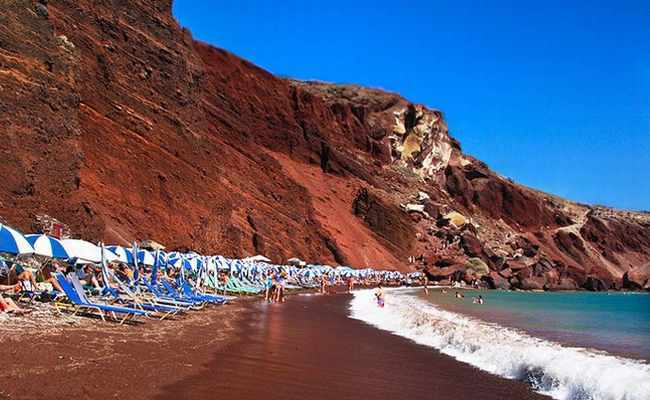 It is a small beach area and due to its popularity it can be quite crowded. 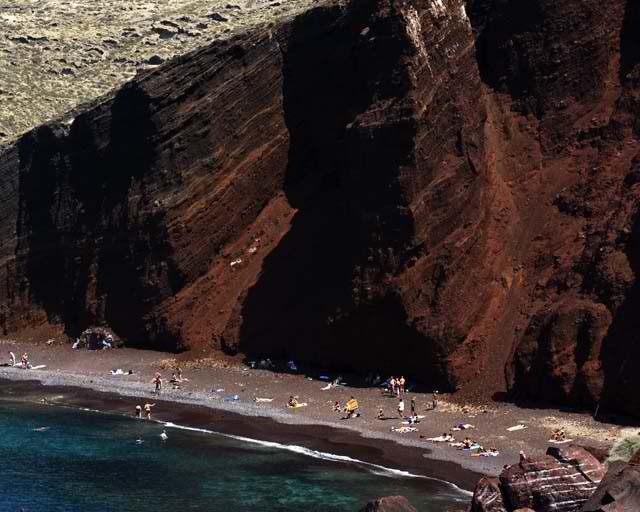 The very dark blue waters combine with the red ground and the black top (because of the volcano) to an unmatched, never seen before landscape. 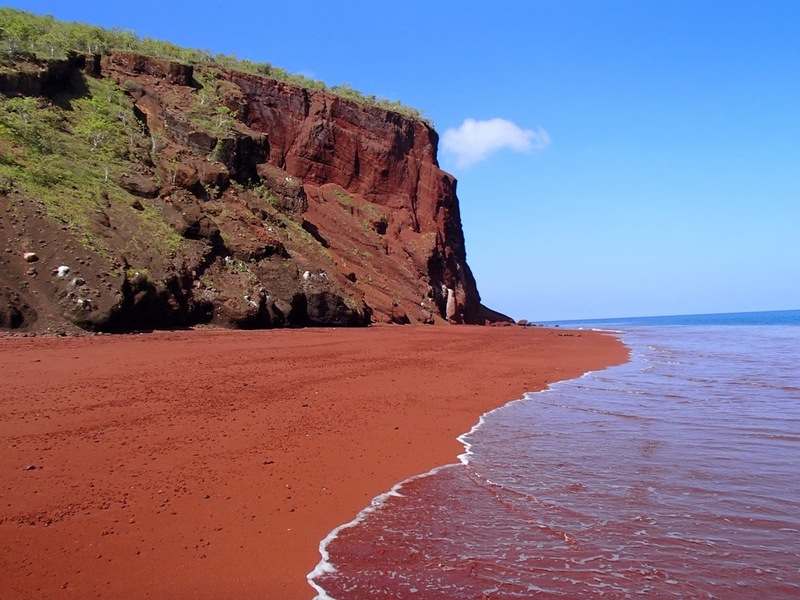 The interesting and morphological nature of this particular area make the Red beach one of the most captivating and exciting beaches in the world. 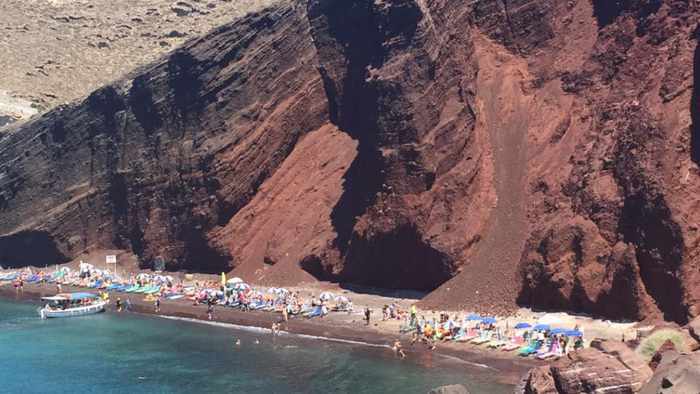 It is an unorganized beach. There is a small cantina near the parking area. Buy anything you will need here before you make the walk to the beach because there are no cantinas on the beach. The first few meters of the water near the shore are quite gravelly. Many distant yachts can be seen from the beach and the view of the sunset is stunning. 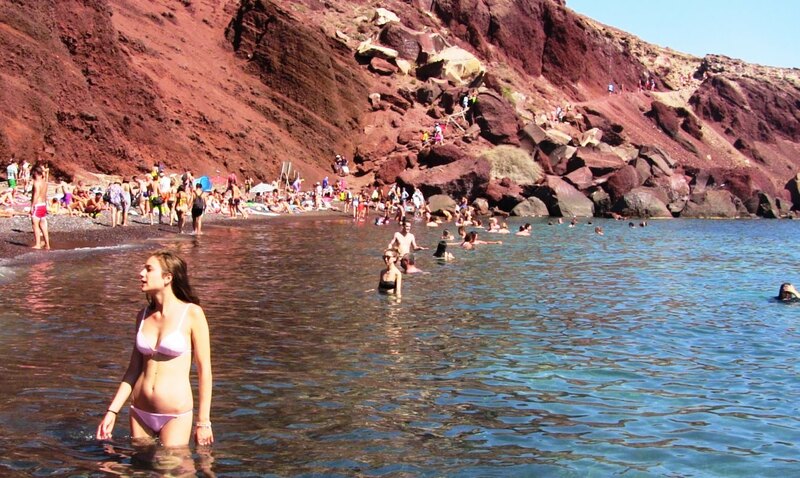 Visibility for snorkeling is good but you will have to bring your own equipment.Nudism is allowed here. 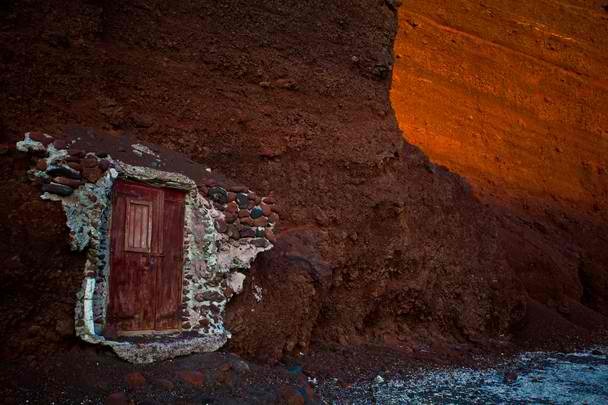 It is very close to the archaeological site of Akrotiri and about 8km from Fira. 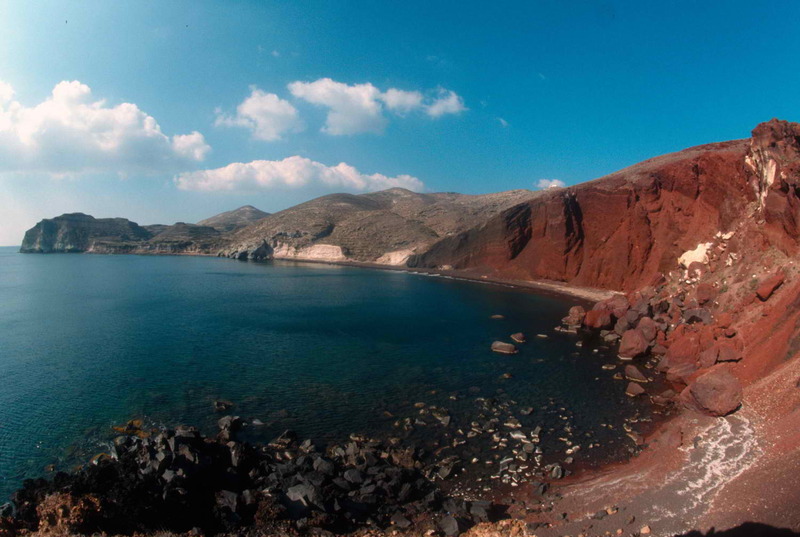 By car or motorbike follow signs south from the village of Akrotiri. Once you reach the parking area you have to walk for a few minutes to arrive at the beach. 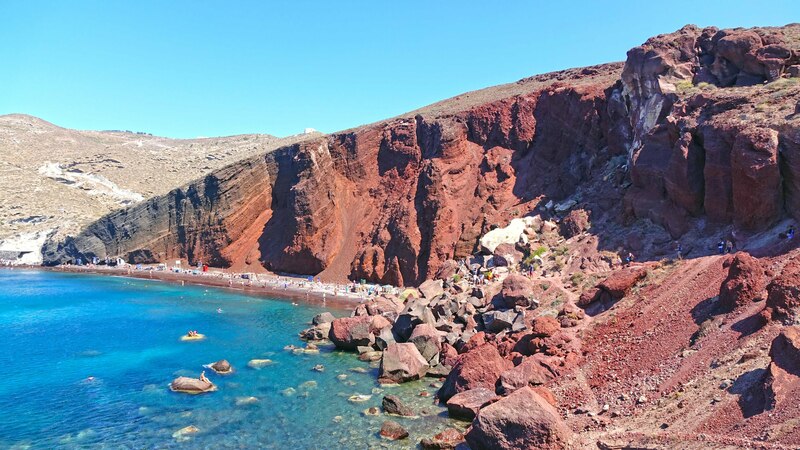 Public buses for Red Beach/Akrotiri bus run from Fira. 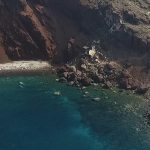 Small boats leave from Perissa and from Akrotiri which also go to Red Beach.